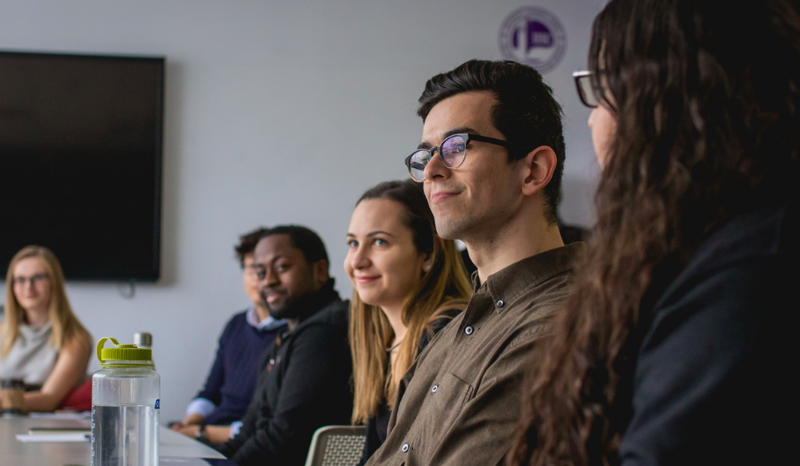 The University Students’ Council (USC), University of Western Ontario (UWO), is a student-led organization that first and foremost exists to advocate for and represent undergraduate students at Western University. Since 1965, we have grown beyond an advocacy organization, becoming one of the largest student governments in Canada and one of the largest nonprofits in London. Each day, we work to support, improve and enhance your student experience, because we believe that students have the power to change the world. The USC is a nonprofit organization incorporated under the Ontario Nonprofit Corporations Act. For more information check out the link below. 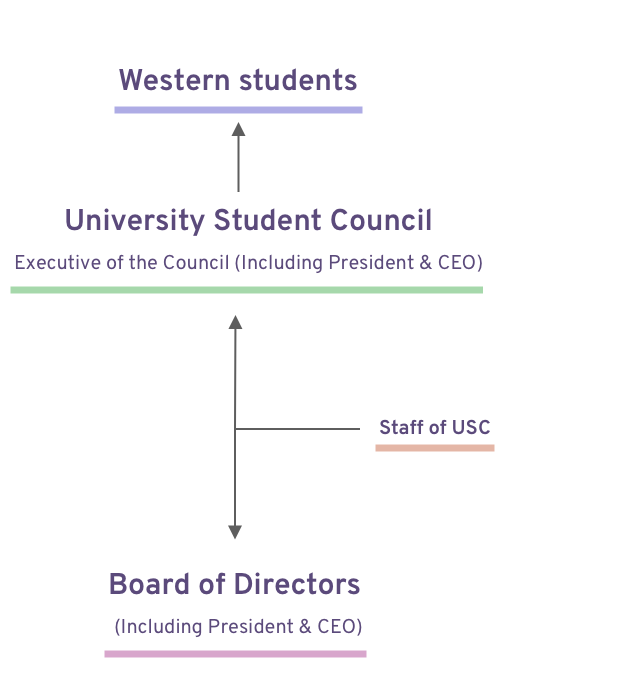 Your USC President is the spokesperson for the Western undergraduate student body. They consistently work to provide a more accessible, diverse, and enjoyable student experience for those attending Western and provide support to the other members of the Student Executive. The Vice President of the USC is your advocate to the decision-makers. They bring up the issues that students face on a day-to-day basis to university administration and all levels of government: municipally, provincially, and federally. The Vice President’s team works on crafting evidence-based policy recommendations that work in the best interest for students, which the Vice President then advocates on, alongside the President, to enact change. In the growing digital world we live in, the Communications Officer ensures that the USC’s message and initiatives are being heard loud and clear by all students on campus. They coordinate important public relations campaigns, interviews, and off-campus media coverage so that you’re always in the know about what’s going on at Western. 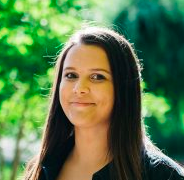 The Student Programs Officer is responsible for managing all of the student-run services and programs that contribute to your Western experience. They are your resource for all things student engagement as they work to support and inspire all students taking on their own leadership positions in the community. The Secretary Treasurer is here to demystify the financial and corporate world of the USC and make sure you’re well informed about the decisions being made. Their number one goal is transparency and they are constantly working to ensure all members of your Students’ Council are acting in line with the USC’s policies to serve the student population. In universities across Canada, pass/fail credits on select courses have been introduced to encourage students to explore various courses outside of their own modules. These credits have in turn created enjoyment of learning, less stressful situations and increased understanding of aspects of undergraduate life. Essentially, pass/fail credits generalize a pass credit (above 50%) and a fail credit (below 50%) instead of a mark based curriculum. The USC is committed to implementation and education about pass/fail credits during the 2017-2018 term. At Western, we’re proud to offer a wide and rewarding array of learning opportunities for students of all faculties. The USC is striving to expand the options and grow the opportunities available for students to complete work-integrated learning opportunities, such as internships. Ensuring students can access a meaningful experience both inside and outside of the classroom to support their learning is an important priority for our team. At Western, the USC always strives to make student life more enjoyable but a major priority this year is to make student life more affordable. With Open Educational Resources, the USC will be innovating and introducing new ways of textbook management for faculty and ease of access for students. By creating open and free textbook sources online, we hope to reduce the thousand dollar burden placed on students every year when purchasing new textbooks. Through coordination with faculty and administration, the USC hopes to see real change soon. In the case for many students where you require a consideration or an accommodation for an assignment or exam, it is often confusing or difficult to complete the process to seek consideration or accommodation support. The USC recognizes that students need to feel supported through their academics and we’re working to address the confusion and difficulty in the academic considerations & accommodations process. Western takes pride in its excellent teaching quality and comprehensive support of student learning. The USC is focused on further developing and enhancing the student educational experience at Western. The USC has identified important areas to develop in order to best foster student learning, such as making better use of student feedback, decreasing financial barriers to learning, and expanding the role of peer tutoring services. The USC Teaching Quality policy paper outlines six specific recommendations for improving teaching quality and student learning at Western. Approved at the 4th Meeting of the 2018-19 USC Council. To be reviewed by Council in its 2021-2022 sitting. The USC remains determined to create a more effective system of London transportation for students with the Bus Rapid Transit system. This system creates an easy and more efficient means of transportation for students to reach central and remote parts of London. Learn more here. Off-campus housing remains a priority for the USC in 2017-2018 as concerns have evolved over summer months regarding break-ins in the London student area. The USC remains committed to keeping off-campus student’s homes safe year-round even as this uptick in crime has brought concerns to our representatives. In communication with the London Police Service, the USC will be launching a campaign devoted to informing and educating off-campus students about the risks of keeping doors and windows unlocked. The Ontario Undergraduate Student Alliance (OUSA) remains the most effective way to encourage and implement provincial priorities in and around Ontario universities. As a member of OUSA, Western represents one of the largest undergraduate populations in Ontario, and remains an influential and important member of the alliance. Policy documents passed by Council relating to the USC’s advocacy initiatives. For the USC, student employment should be a top priority because of the benefits it adds to the lives of students. Approved by Council in February 2018. For review in 2020/21. All eligible students in Ontario, regardless of socioeconomic status and household income, should be able to access a post-secondary education. This policy outlines the recommendations to improve student mental health at Western. Approved by Council in February 2017. For review in 2020/21. This policy outlines the recommendations to improve pedestrian safety both at Western and in the City of London. Approved by Council in February 2017. For review in 2021/22. This policy outlines the recommendations to improve transportation within the City of London. A standing policy of the USC advocating for student controls on ancillary fees and the nature and affordability of such fees. Original Ancillary Fees “Purple Paper”, published in 2012. A standing policy of the USC advocating for the continued growth and support of early outreach programming at Western and in the London community. A standing policy of the USC advocating for a renewed focus on extracurricular and experiential learning opportunities for studies outside of STEM studies – Science, Technology, Engineering and Mathematics. 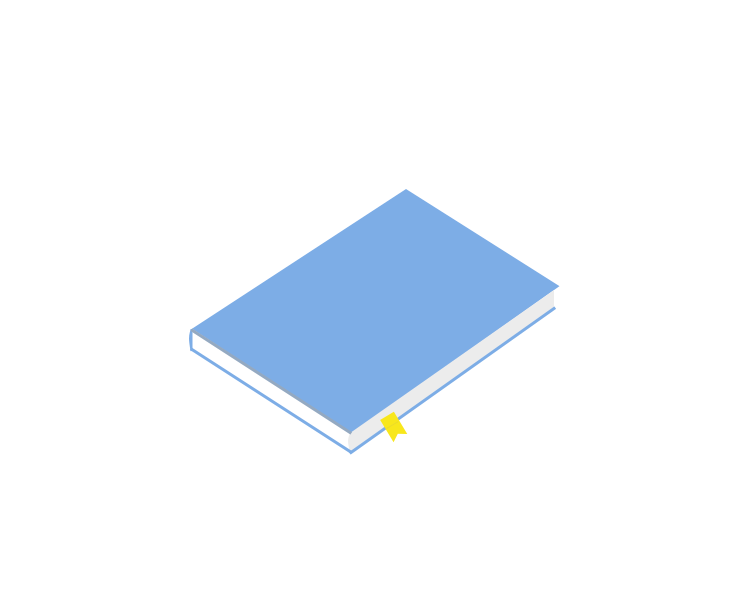 A standing policy of the USC advocating for the creation and implementation of an open educational resource pilot project. A standing policy of the USC advocating for the implementation of teaching-focused faculty within the University and a greater emphasis of teaching as a responsibility of faculty. A standing policy of the USC advocating for the visibility and availability of Fair Trade Certified products on Western’s campus. A councillor is an undergraduate student who is elected by peers to represent their interests on the council floor. These students come from all the undergraduate faculties and professional schools, and are responsible for understanding the business of council – suggesting changes to policies or initiatives as they see fit. When you think USC, you probably just think of student government, support services, events, and elections. And you’d be partially right. But the USC also encompasses a corporate side, manned by a student-led Board of Directors. The Board focuses in on the business side of the USC and each year, they approve the Council’s budget and assess any financial risks or opportunities. Other important tasks in their job description include developing strategic plans to assist the USC in fulfilling their obligations to undergraduate students, as well as participating in the development of the USC’s organizational plan and annual review. The Appeals Board exists to ensure that all decisions by the USC are made to benefit and support the student population. When a particular decision or action is brought forward for examination, the students on the Appeals Board determine whether or not that decision or action was justified or if it is an infringement on the University’s policies and bylaws. Students on the Appeals Board follow the principles of natural justice, advocating for fairness and good conscience to ensure the USC remains a fully democratic and proactive organization. The Elections Governance Committee members uphold the vision and principles established in By-Law #2, which governs how elections are run at the USC. 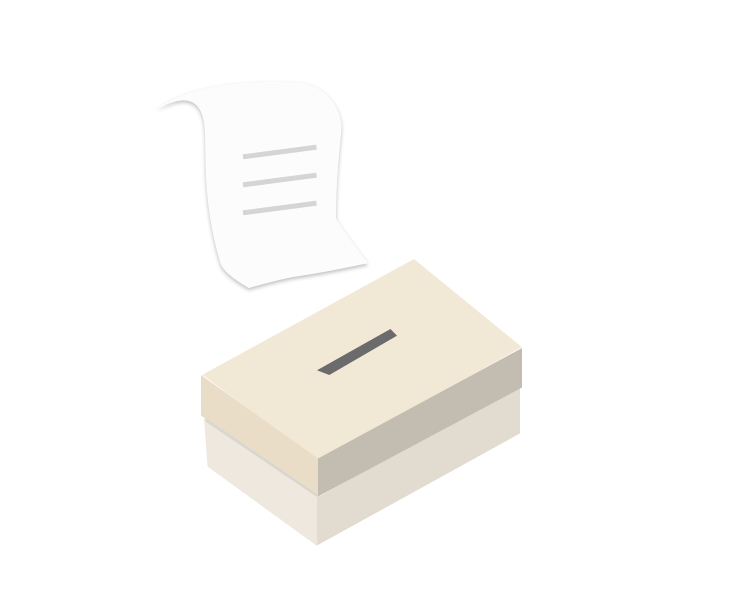 They develop and maintain a clear set of criteria and considerations to be used when making decisions relating to elections. This PDF Packet contains all of the current by-laws, policies, and procedures of the University Students’ Council. Please note: we’re working to update our governance policies, we appreciate your patience! 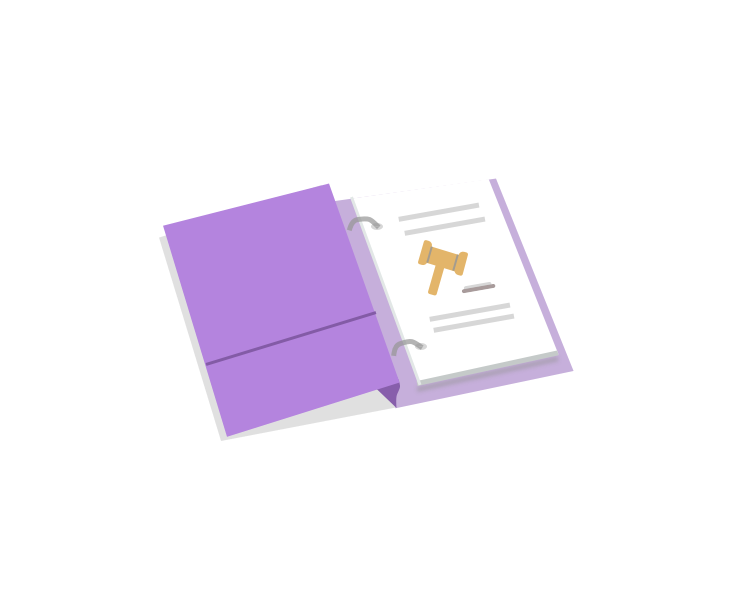 Supplemental documents and reports are included in the categories listed below, with a brief description of the category’s contents. Policies and procedures relating to the USC’s advocacy strategies and any advocacy papers passed into standing policy by Council. Please visit the Advocacy Page for all current and archived documents. Budgets and related support documents. Policies and procedures relating to the communications strategies of the USC. Example: Social Media Usage Policy. A guideline to creating a cohesive brand and vision for the USC through regulation of the USC’s visual identity. 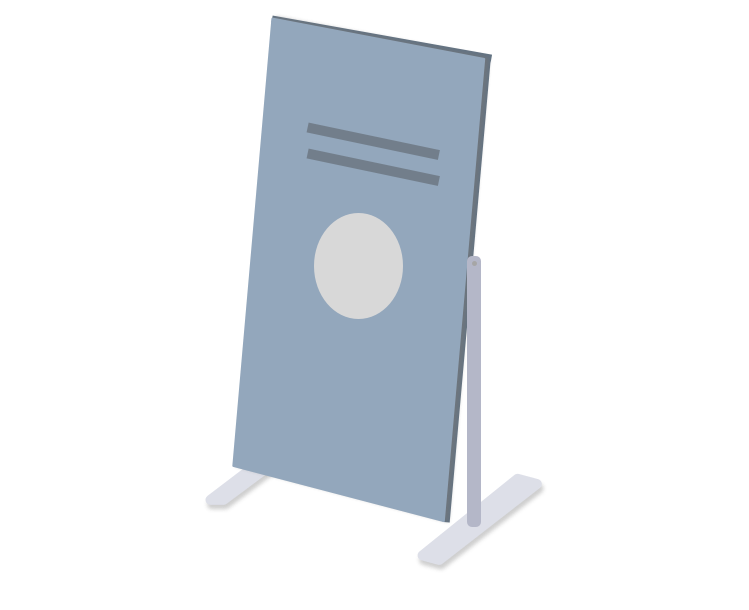 Contains regulations for the display of the USC logo and how to present the USC’s brand on stationary, Power Point presentations, and business cards. Best practices in social media when representing the USC. Procedures relating to the USC Elections. Note: Senator and Board of Governors Nomination Forms are available through the Western Secretariat. A review of the USC’s membership in the Ontario Undergraduate Student Alliance from the Council year 2009/10. A review of the USC’s membership in the Canadian Alliance of Student Associations from the Council year 2012/13. A review of the USC’s membership in the Ontario Undergraduate Student Alliance from the Council year 2013/14. Policies and procedures relating to USC financial practices, including distribution of external grants. Examples: Travel Policy, Grants Fund Policy. Documents and policies relating to Grant Applications, the Grants Committee and the Grants Fee. This is the Grant Application that will be the foundation throughout the 2015/2016 academic term. The Grants Committee may make revisions where they feel as though the application is not targeting the necessary information. 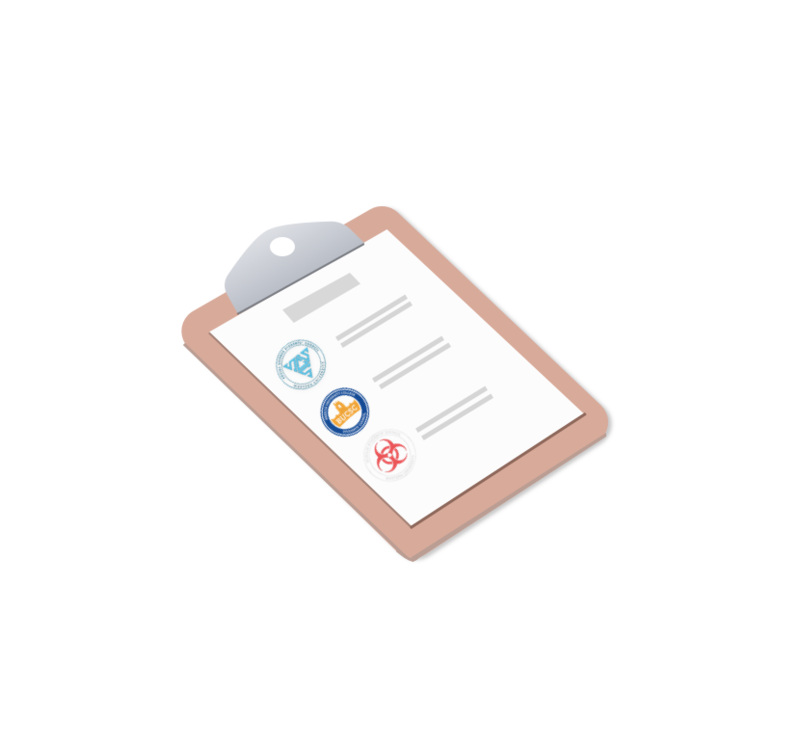 This document helps provide guidance to the application process and contains criteria that is used in the adjudication process of the Grants Committee. Policies and procedures relating to the creation and amendment of the USC’s Long-Term Strategic Plan and previous iterations of the Strategic Plan. Outlining our Vision, values and areas of focus. The current strategic plan of the USC. A reference document for the Corporation to provide strategic direction for all facets of the Corporation. A guide to the execution of the previous strategic plan, A Vision to Lead. Specifies areas of action that should be undertaken to meet the expectations of the strategic plan and identifies the individuals responsible for carrying them out. A previous strategic plan of the USC. Superseded by the 2012 Strategic Plan. A previous strategic plan of the USC. Superseded by A Vision to Lead. See attached Executive Summary for an introduction to the plan. A previous strategic plan of the USC. Superseded by Built to Lead. Policies and procedures relating to the Peer Support Network, Peer Support Centre, and other student services operated by the USC. Example: Peer Support Network Usage Policy.